For those that missed our last announcement, we are offering FREE SHIPPING on all orders of Plantronics items and DBL items. This offer is permanent to all members of wholesale2b.com and applies to the Plantronics supplier and to the DBL supplier only. Free shipping will only apply if you place your order from your wholesale2b.com account. If you place the order directly with the supplier, you will be subject to normal shipping costs. There are a few ways that you can use free shipping to your advantage. The most obvious way is to offer free shipping to your buyers and apply a normal markup on your wholesale prices, such as for example 20%. This option will attract buyers with your free shipping offer while keeping your profit margin at 20% on each order. Your other option is to keep charging normal shipping cost but to lower your markup to almost nothing, for example 1%. This will provide you the advantage of attracting more buyers with extremely low prices and your profits will be based on the shipping cost only. Both options are good… its a matter of preference. If you do not have an account with wholesale2b.com, please take 5 minutes to signup for a free account at www.wholesale2b.com. From branded electronics to pet supplies and kitchenware and collectible items, you can sell just about anything online these days. Websites like Amazon and eBay, small merchandisers can run a successful home based business. For 2011, selling retail merchandise is a safe bet. Electronics, cell phones, game consoles and fragrances remain the top selling products. The home based business is expected to grow even more in 2011 as more unemployed people are expected to join the ranks of “work-at-home professionals”. Currently there are limitless possibilities for home based businesses and not all are legitimate. If you are interested in starting an online business selling any kind of products, then please do yourself a favor and consider wholesale2b.com. Wholesale2b can help you start an online retail business in no time using dropshippers which means you can be in business very quickly and with almost no expense. If you are looking for dropship products to sell on eBay then you need to find the proper suppliers to work with. 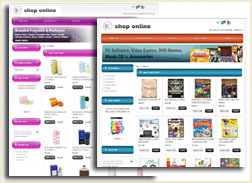 There are many dropship directories available online however they come to a price. Furthermore, such dropship directories will only give you the names of dropship suppliers. You will still need to contact each supplier 1 by1 and go through the process of opening a reseller account. ** Please note: Most legitimate dropship suppliers will require that you have a business license and tax ID. This is because wholesale dropship suppliers do not sell to the public and require a reseller license from you in order to give you the wholesale prices. Furthermore, once you open a reseller account you will still need to figure out a way to download their products into eBay or into your own website. Some suppliers provide datafeeds that you can use for this purpose however not all of them do. In cases where you can get a datafeed, most likely their feed will not be in the proper format for you to use. For example if you need to import your products into Turbolister, or to your Amazon account, chances are you will need to edit the file and change the format. With a wholesale2b account, you can avoid all this hassle. We can even create a website for you loaded with all the products of your chosen suppliers. No need to worry about a datafeed with this option. We load the products for you and we apply daily updates to your website. You will also have the option of ordering directly from the supplier OR order directly from wholesale2b and avoid the step of having to open a business and a reseller account.